Another month has rolled around and now The Fair is finally here! The Prehistoric Party wasn't so differen't but I can assure you that this party IS! There are so many games to choose from and so many prizes. 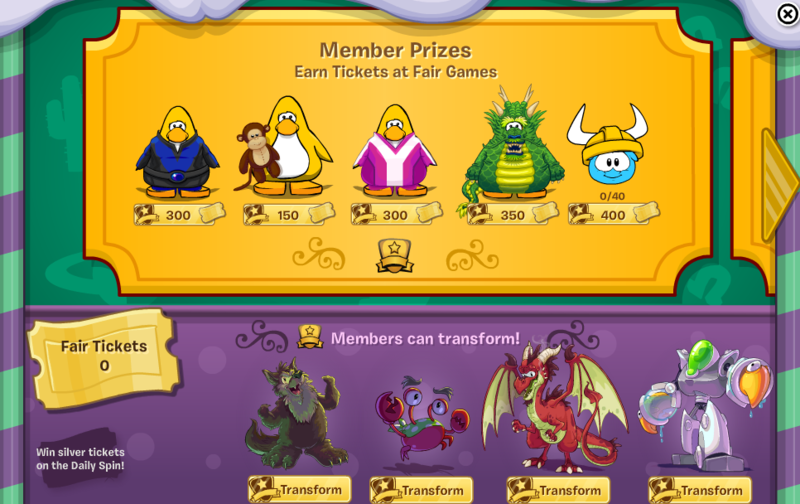 Check out this post: 3 Ways to earn tickets fast on Club Penguin. Like I said, there are many games to choose from. There are only four newly decorated rooms but each room has quite a lot of games. Want to meet Penguin Band? 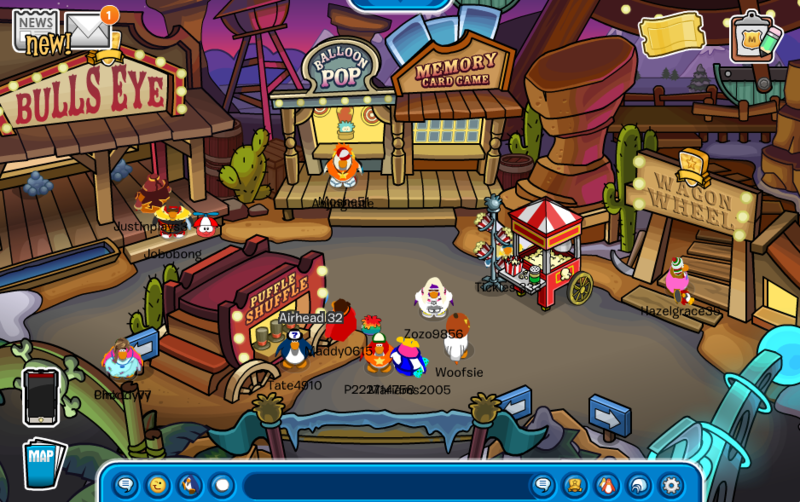 The room shown in the picture below is where Penguin Band shows up and gives a live concert. They will appear in the middle of the room where the puffle is. 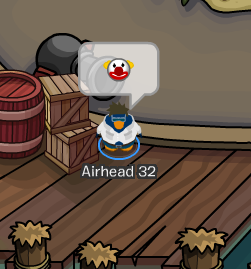 Club Penguin has been adding new emoticons at every new party. These new emoticons aren't permanent and will only be here as long as The Fair is here. 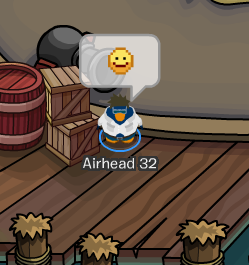 I like the new yellow smiley face. Have you played any games yet? Be sure to save those tickets because they are worth something! 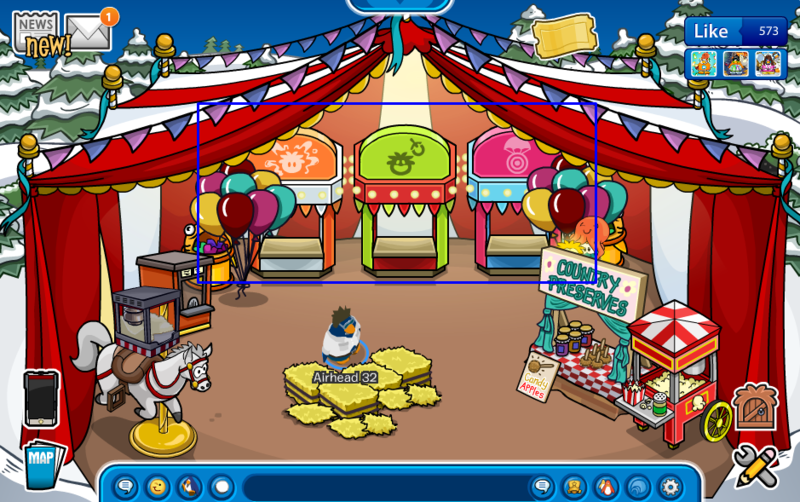 Club Penguin made a shop where you can spend your tickets. Just click the golden ticket in the top right corner of your screen. Click the golden arrows to scroll through the prizes. 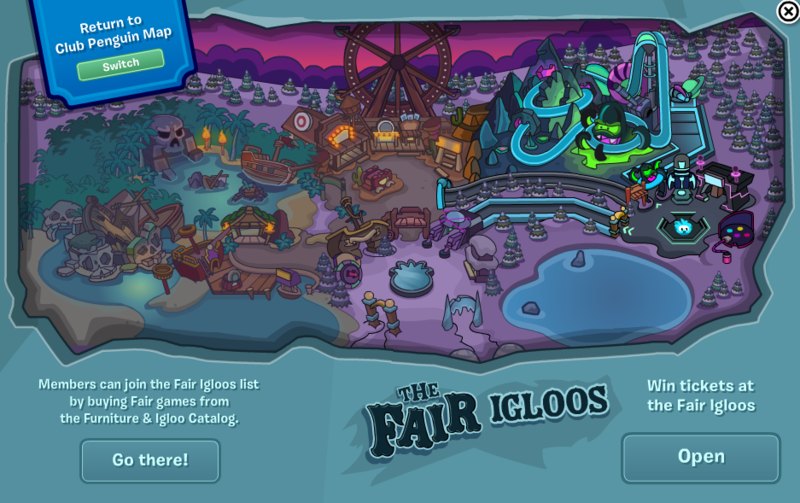 Your igloo can appear on a special list of you put certain items inside your igloo. Being on this special list may get you a lot of penguins inside your igloo. Add these items to appear on the special list.